Well, there is nothing wrong with this (apart from the name Ampli Op – that sounds like a bad 80s hair band 🙂 ). 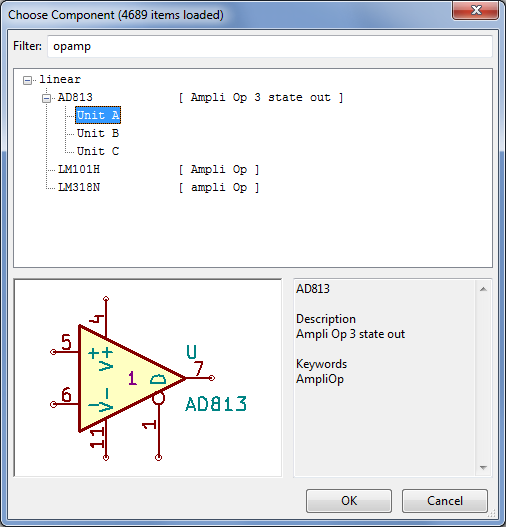 Kicad draws opamps with the non-inverting terminal on top, rather than the inverting terminal. It’s insanely annoying (and it just cost me a batch of circuit boards, too!). 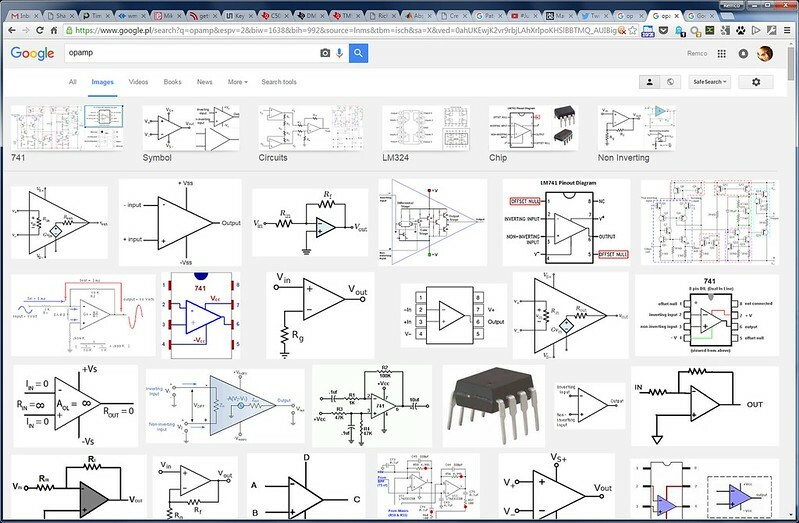 Here’s how google thinks you should draw an opamp, and I agree with the majority. Does it really matter? Well no but getting it wrong is easy, and you may not find out until it’s too late. 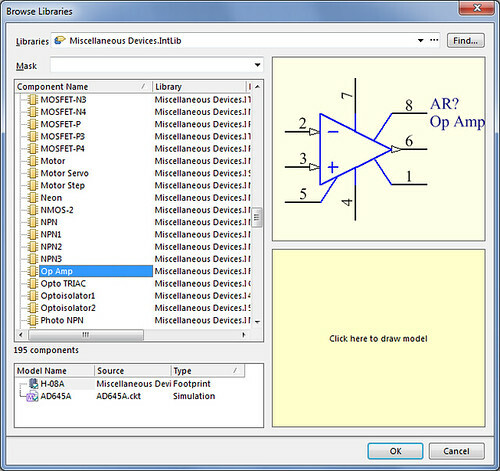 the non-inverting input is often connected to ground either directly or through a resistor. So that looks nicer with no wires crossed. the inverting input is often used with the output to make a feedback configuration, which is drawn on top. Most stable feedback is negative feedback, so the signal needs to come back to the inverting input. and that is if your program has a simulator. Kicad doesn’t (really). 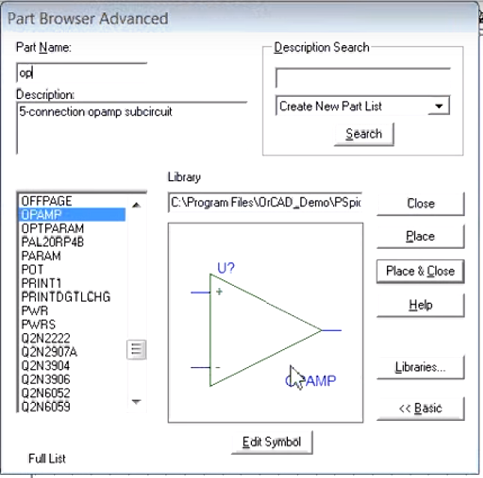 So you end up porting or redrawing from scratch – another chance to screw it up. There seems to be an -albeit very unofficial- consensus about drawing opamps with the inverting input on top. 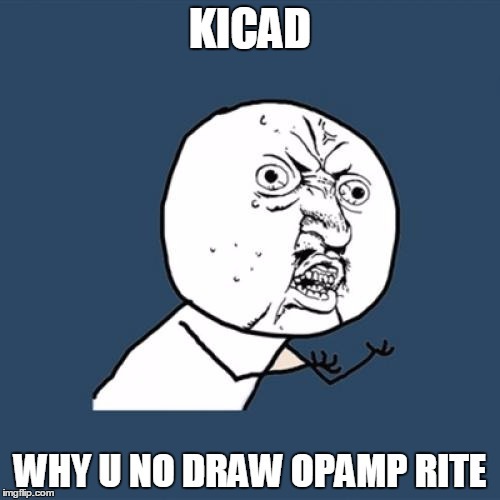 Kicad is the odd one out and that’s a real trap for young players. 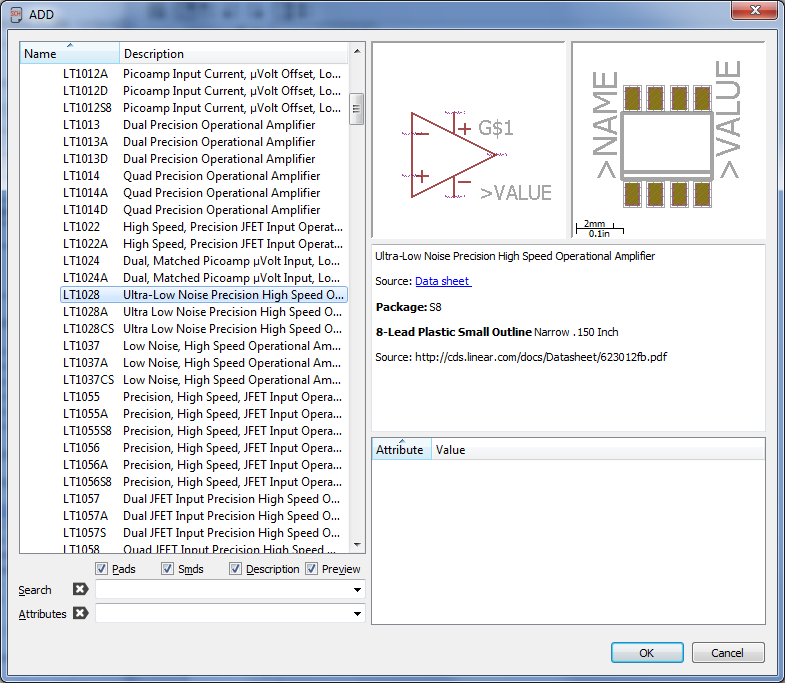 Of course you get what you pay for, and my Kicad license price just went up by the price of a batch of boards. 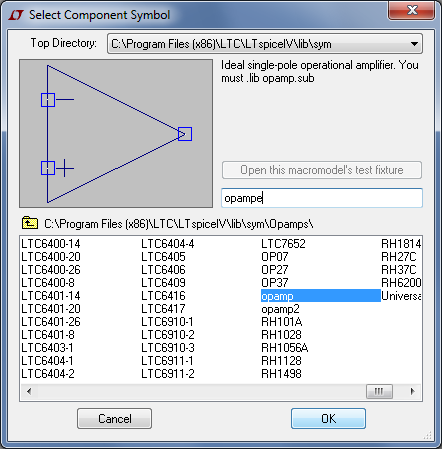 I had deliberately taken an LTSpice schematic through a long process to import into Kicad, just because I wanted traceability all the way back from the pcb layout to the simulated and tested schematic. And it almost worked, except for the opamps, which I redrew by hand… and failed. Should I go and start a PAR? As exhilarating as that sounds, I think I’ll just do what everybody does and religiously adhere to a PCB checklist. Don’t skip it, ever. Is the associated spice model not just a bunch of node descriptors? As such each node can be allocated to whatever symbol pin you like. The symbol is just a picture. But that means a new library just for a redraw. I’d much prefer to stick with standard components. Especially since Kicad attracts many hobbyists, those should work as well as may be expected.